1. 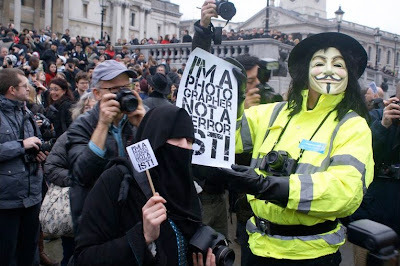 "This past Saturday, reports the BBC, more than 2000 photographers protested the indiscriminate harassment of innocent photographers under Britain's anti-terrorism laws. The protest took place in London's Trafalgar Square. The photographers say police are intimidating people with cameras in tactics to target possible terrorists." 2. "Uzbek photographer Umida Akhmedova is awaiting trial and is facing a potential sentence of six months in prison or three years forced labor. 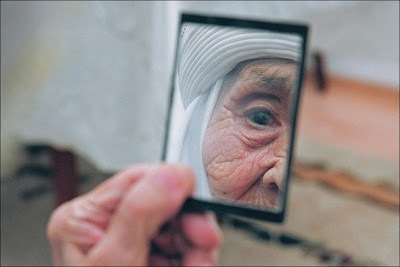 At issue is a 2007 work called Men and Women from Dawn to Dusk that contains approximately 100 of her photographs of life and customs in Uzbekistan. (50 of the photographs here.) A special commission tasked by the government prosecutor has analyzed the photographs and charged Ms. Akhmedova with "defamation and insulting Uzbek traditions."